It is interesting to note that the latter two points, i.e. the filtration and manual yeast enrichment of the mash, are simply not done in the production of clairin. Instead, the Haitian cane spirit is made from a mash based on spontaneous fermentation from the surrounding air. This also has to do with the more or less meagre equipment of most distilleries in Haiti, which outside of the country might sometimes not even be called a distillery. 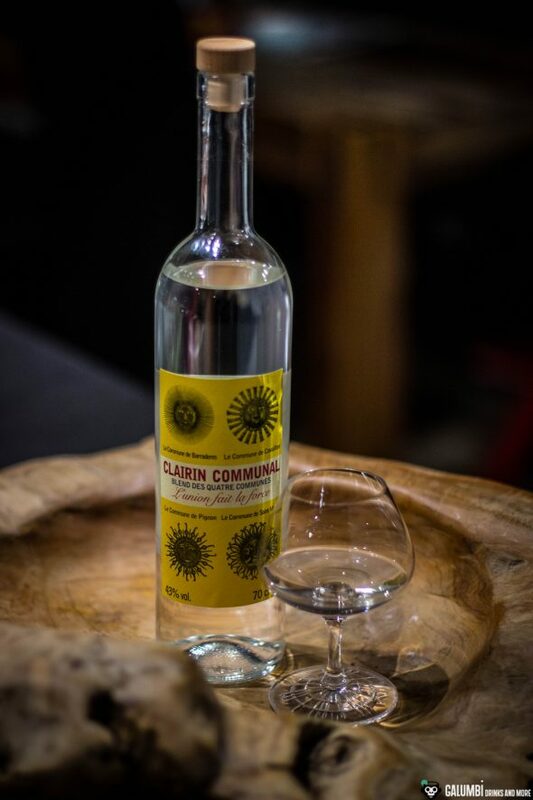 Compared to Rhum Agricole, which is also made from raw sugar cane juice, Clairin usually has a much more natural, rustic character, which can also be expressed in a whole explosion of aromas. For further background information and an example, I would like to refer to an article on Clairin Sajous, which I wrote here in April 2016. Today, I have a bottle of Clairin standing in front of me that bears the name Clairin Communal. The French label also reveals that we are dealing here with a blend of four different, regional Clairins, consisting of Clairin Vaval from Cavaillon, Clairin Casimir from Barraderes, Clairin Le Rocher from Pignon and Clairin Sajous from Saint Michel de l’Attalaye in the heart of Haiti. With an ABV of 43% it shows an alcohol strength that is essentially beginner-friendly and deviates from the 50% usual in Haiti. The price of this bottle is about 30 Euros and thus slightly below the price of the individual regional qualities. Aroma: The typical Clairin note is unmistakable. Sugar cane and vegetable tones (associations of courgettes and mushrooms) combine with light fruits (especially pears) and herbs, while very intense and expressive. However, what I immediately notice about this Clairin Communal – and this is extremely positive – is an incredibly great vanilla, which resonates here very beautifully. I even could not tell when I last found such a clear and beautiful vanilla in a spirit; almost like in a cream dessert. Taste: Wow, also here the vanilla character of this Clairin blend inspires me! Aromatic, beautifully balanced and seductive, the vanilla comes along and skilfully joins the orchestra of other notes. Spices, fermented, light fruits, flowers and sugar cane with a slightly “greenish” note. My compliments to the blend master, this Clairin is a very successful and also price-attractive advertisement for Clairin as a whole. 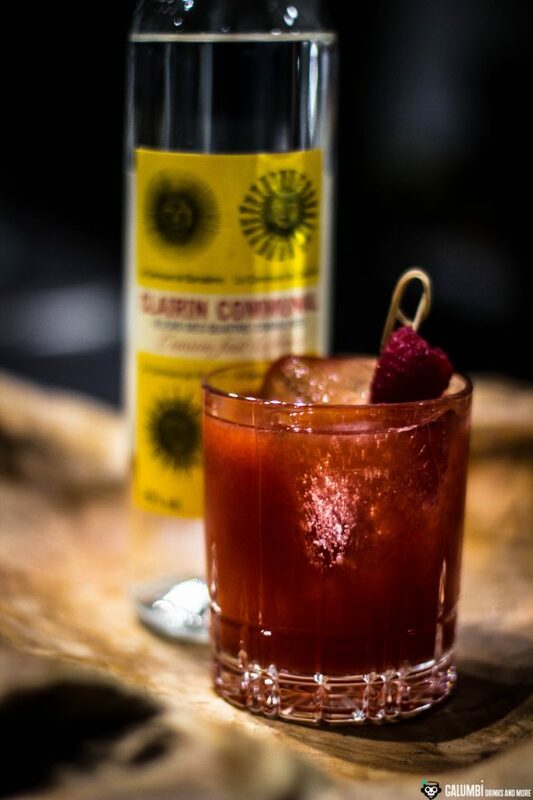 The Clairin Communal is certainly versatile as an alternative to a white rum and accordingly I can imagine many cocktail classics made with it. Nevertheless, I had the idea to try something new and I’m really happy with the result, even if it took some time to experiment. 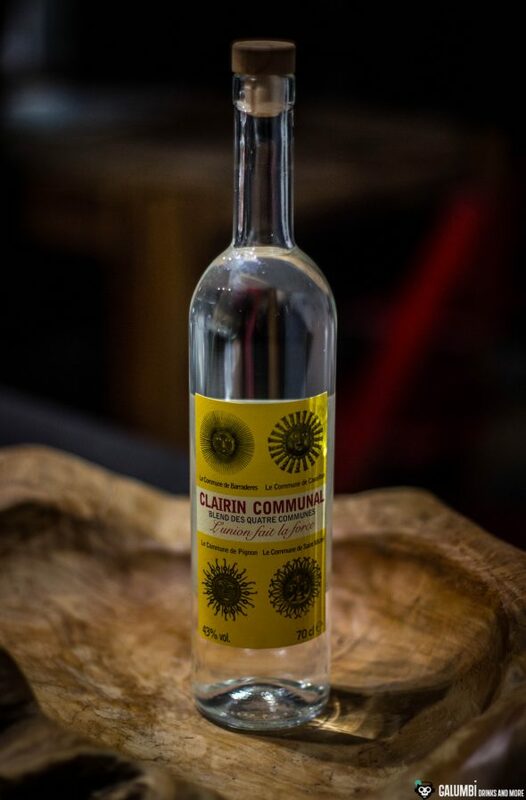 The really great vanilla of the Clairin Communal was of course my first starting point here, even if it is only one of several chords in the drink. 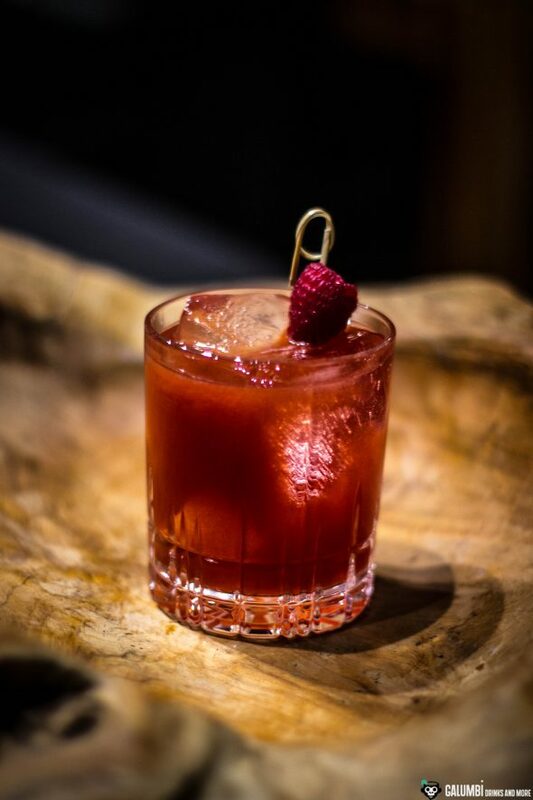 Most raspberry cocktails you will find try to be distinctively refreshing, but my “Cup Haïtien” goes a different way and with maple syrup and the beautiful Nardini Rabarbaro it sets a spicy, full-bodied accent that makes the drink really seductive. I can only recommend trying it yourself! 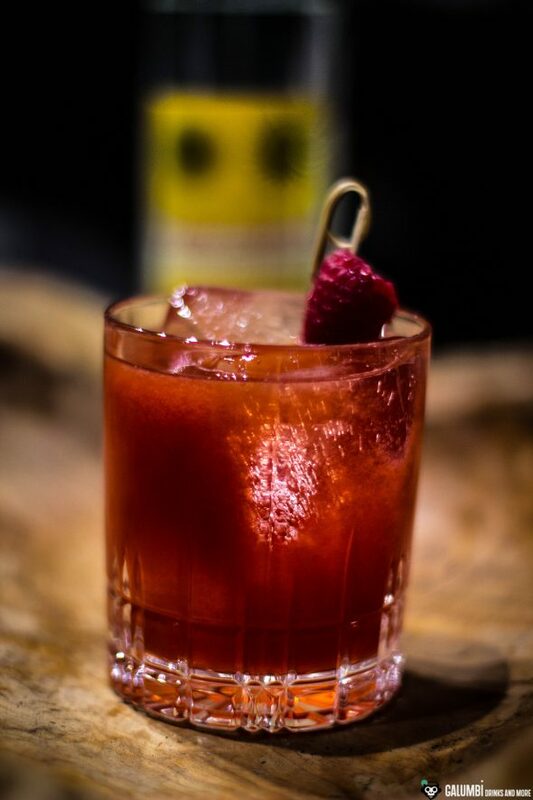 Preparation: Crush the raspberries with the bar pestle in the shaker. Add the remaining ingredients and shake vigorously on ice. 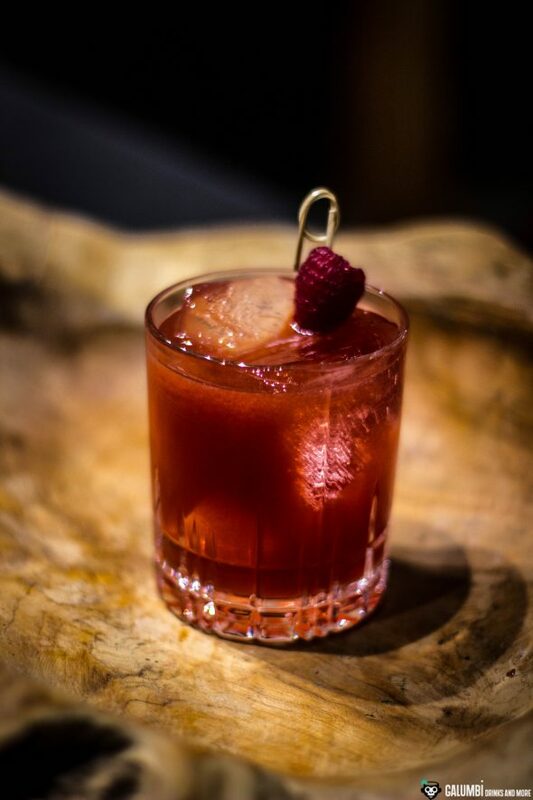 Strain twice into a glass filled with fresh ice cubes.